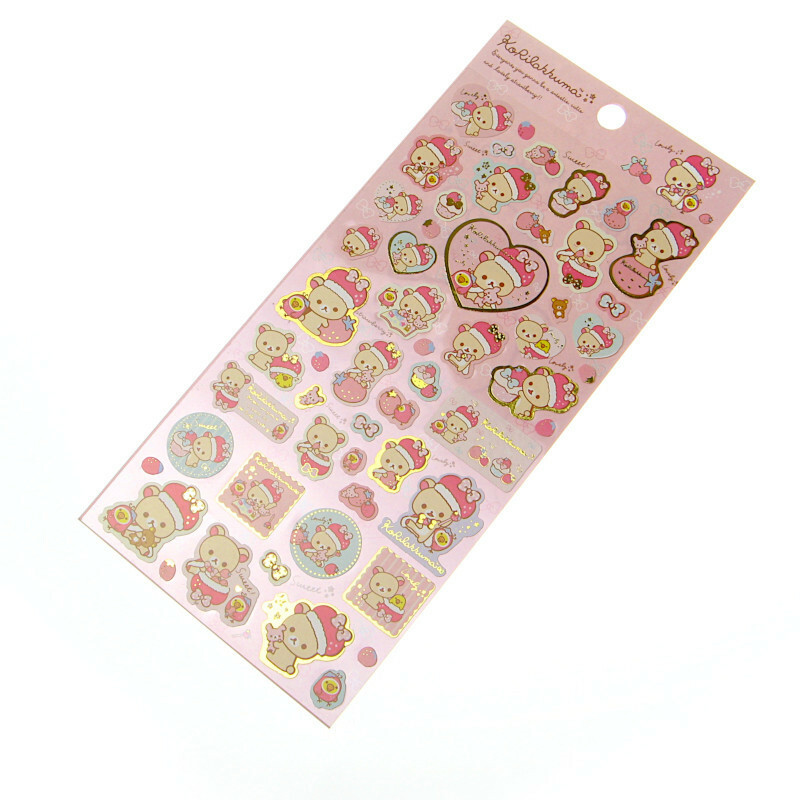 Korilakkuma Seal Stickers by San-X Japan are perfect for lovers of Rilakkuma and his friends. 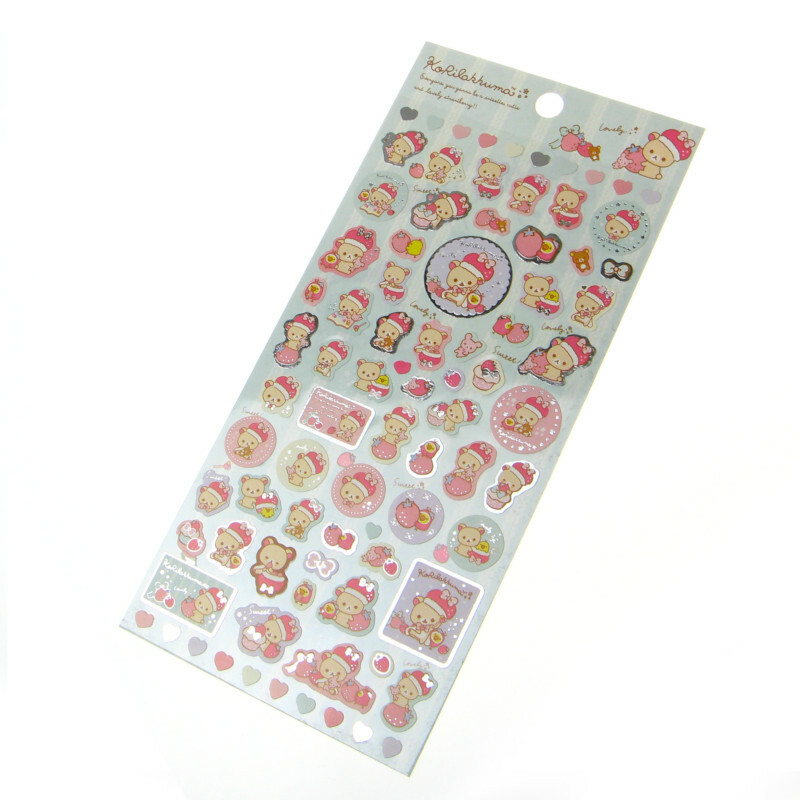 The stickers are all of different sizes and feature Rilakkuma’s friend Korilakuma as a royal strawberry bear queen featured in a red hat with a bow. Most of the stickers are adorned with metallic gold or silver outlines on them to add a bit of sparkle. They are available in two different designs and great for scrap booking, letter writing or sprucing up stationery. Available in two colours. Colours may vary, images are for illustrative purposes only. Not suitable for children under 3 years due to small parts.